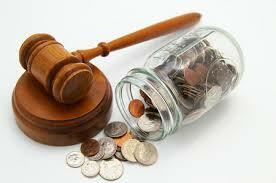 Florida courts charge filing fees to help cover the costs of processing new cases or to modify existing court orders. The document preparation fees quoted by Florida Document Specialists and Florida Family Adoptions do not include court filing fees, fees for the issuance of a Summons, or the costs associated with service of process on an individual(s). To find out what the exact filing fees are for your county, please contact our office and we’ll let you know. Some of our customers are surprised to learn that their court filing fees can be waived if you cannot afford to pay them. Read out page on Civil Indigent Status and Waiver of Court Fees. We will assist you in preparing an Application for Determination of Civil Indigent Status if you think you qualify.